Today's vegetable recipe: Cauliflower roasted with saffron and spices. Low carb. Weight Watchers 1 point. But then last week, oxtail stew was on the tasting menu at a local restaurant and -- being an adventurous eater -- I placed my order, looking forward to a delicacy. But OH MY. YUCK.YUCK.YUCK. Now to be fair, the thinking is that the oxtails were no good, past their due date, shall we say. But with one bite, I was ready to gag and now, even nearly a week later, anything remotely close to unusual is creating the same reaction. And what does this have to do with vegetables? Let's say you have a bad experience with frozen Brussels sprouts (or canned asparagus or creamed-all-vegetables or ...). I GET IT. I get that you might not want to try Brussels sprouts again. It's almost reflexive, a defense mechanism of some sort. I get that it could take both time and conditioning to become open-minded again. Those of us who love vegetables, we understand that 99% of the time, our vegetables are just delicious. If something's not to our taste, we've got enough experience to know that something was off, that the next batch of whatever will be good. But if 100% of your experience is that oxtails Brussels sprouts are rotten stinky things? Well, I get it. It's hard to work up the gumption to return. You will, I think, return again and again to roasted cauliflower, especially the roasted cauliflower made on this site's very first day, almost four years ago now. This treatment uses both a saffron-warmed olive oil and a splash of good vinegar. It's YUM not yuck. Preheat the oven to 400F. Combine the oil and saffron in a small bowl, place on top of the oven near the heat source so that the saffron will warm and its flavor will be transferred into the oil. Meanwhile, in a large bowl, toss the remaining ingredients. Just before the oven is preheated, add the warm olive oil and toss well with a spatula. Transfer to a rimmed baking sheet and let roast for about 30 minutes, stirring every 10 minutes or so, or until the cauliflower reaches the desired doneness. Transfer to a serving dish, serve and enjoy! It's easier to use less oil for roasting vegetables when they're tossed for the first time in a large bowl, rather than drizzled and then tossed on the baking sheet itself. That said, for roasted cauliflower to be really good, darn it, more than a tablespoon of oil is needed, much as I wish otherwise, two or three or even four tablespoons. PRINT JUST A RECIPE! Now you can print a recipe without wasting ink and paper on the header and sidebar. Here's how. NEVER MISS A RECIPE! For 'home delivery' of new recipes from A Veggie Venture, sign up here. Once you do, new recipes will be delivered, automatically, straight to your e-mail In Box. Looking for healthy ways to cook vegetables? A Veggie Venture is home to hundreds of quick, easy and healthful vegetable recipes and the famous Alphabet of Vegetables. 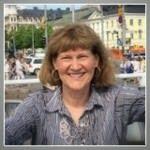 Healthy eaters will love the low carb recipes and the Weight Watchers recipes. i freaking love roasted cauliflower. recently tried it curried and almost died. I've been wanting to try roasted cauliflower AND I've been wanting to try saffron - LUCKY ME! Thank you Alanna! i was just unimpressed with steamed cauli for dinner last night, and now i don't have to make it that way again. roasted cauli looks so delish, i wish i could pick it off the screen and try it. Oh Yum! Roasted Cauliflower is wonderful all on its own but with saffron? Now why didn't I think if that? And wouldn't it make a wonderful Valentine's Day side dish? Fragrant, exotic. Sounds good to me. I've roasted cauliflower with leeks and evoo but I'm definitely going to try this next time. Love the nutrition information- thanks! The cauliflower looks completely delicious. This method is new to me though. Roasted with saffron, eh? And the cauliflower isn't too strong for the saffron? P.S. Not long ago, I had the absolute worst cauliflower ever - in a restaurant (we'll NEVER go back to that restaurant). The cauliflower had been steamed for so long that it was only its shape that identified it as cauliflower. Otherwise, it had been reduced to tasteless mush. What a shame! I love reading your recipes! I just wanted to pass along a tidbit. My 7-year old will reliably eat two veggies only- roasted caulflower and roasted brussels sprouts (how funny is that?! ).I use frozen of both- I toss 'em in olive oil with garlic, throw them on a sprayed sheet, sprinkle with salt and pepper, and pop them in the toaster oven for a half hour. I don't even thaw them. Simple but it works! Our fresh veggie prices up here during winter are too darn high (though every once in a while I splurge and buy a bunch of asparagus- it's my veggie vice) so I use frozen. Thanks again for your wonderful recipes! Roasted cauliflower, is there anything better? Nice recipe, and I'll be back to check out your next post! The story and the cauliflower are both glorious! Alanna, how could you not like oxtails? Do you not like beef short ribs? The taste is almost identical. Sounds like perhaps you were served something foul, but I rather doubt it was the cut. As for the anatomy, the tail vertebrae are just like any other marrow bone. On the Ox Tails, you just did not have them fixed right. Now if you want something good that I fixed yesterday, you need to boil a beef tongue, peel it, slice it and it is the most tender beef you have ever had, and they make great sandwiches. I googled beef tongue, and you would be surprised the numbers of people who still fix beef tongue!! By the way Roasted Cauliflower is great also!! Oh dear, you're being unfair to oxtail. Properly made, it's a delicious, flavoursome, meaty cut. Only discovered it few months ago, but have mae it few times since (as have our friends). Sorry your first encounter was such a miss.. But cauliflower, yes, is nice. Especially when roasted (though we had simply boiled cauliflower with our grilled steak last night). A Veggie Venture is home to 1300+ vegetable recipes from Asparagus to Zucchini, seasonal to staples, savory to sweet, salads to sides, soups to supper, simple to special. 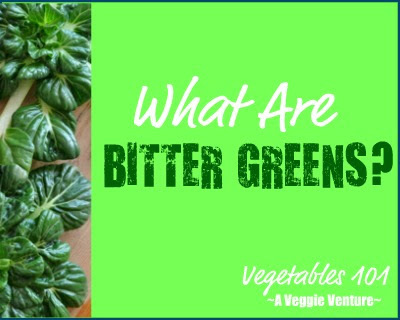 Vegetables 101: What Are Bitter Greens?